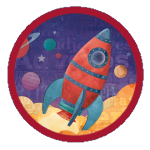 In Voyages in English, principles of kindergarten and early childhood education blend seamlessly with grammar and writing materials, instruction, and approaches to provide simply the very best curriculum available today. Each program component guides children at the primary level to build skills to eventually master the written and spoken word. Grammar and the mechanics of writing are reinforced to equip students with powerful communication skills. 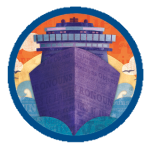 Voyages in English focuses on building students’ confidence to speak and write with clarity, correctness, and purpose. This award-winning approach empowers students to become dynamic young communicators. Voyages in English for Grades 3-8 fully prepares students to become literate masters of the written and spoken word. The components of this program are the result of decades of research and practice by experts in the fields of grammar, writing, and communication. The result is better writers, readers, listeners, and speakers; as well as happy teachers, principals, and parents.